If you lost your dog, these Lost Dog Tips should help you find your missing dog! Please read and use these suggestions at your own discretion. 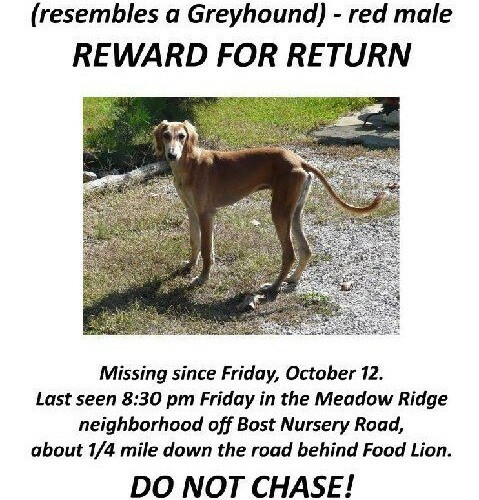 If you are reading this, your dog has probably gone missing. Immediately put food, water, a bed and an article of your clothing out at the area he/she was last spotted. There’s a good chance their nose will lead them back! change your voice-mail so if anyone is calling about your dog, they are properly being prompted to leave adequate information. A suggested voice-mail message would be, “If you are calling about [your lost dog’s name], please leave your name, phone number along with what time and location including street number or intersection as well as what direction my dog was going. Please don’t chase [dog’s name]. Thank you! Find a photo of your beloved pooch and start making signs / posters / flyers. Put them EVERYWHERE IMMEDIATELY. Much like a missing persons case, the success of a missing dog case is contingent upon when you start the search! If you have some friends/family/neighbors/co-workers to help you cover more ground quicker, utilize them. If you put a phone number on your dogs collar, be sure to have someone manning that phone or take it with you while you are searching! A brief description of your dog including: breed, colors / markings, height/weight/size, last sighting information, your contact information (cell and email) at bare minimum. Start a door-to-door campaign near the area the dog was last spotted, you can do this while you are putting posters up. Ring doorbells, knock on doors, stop people in their cars and walking down the street; start talking to people! Show them a photo of the dog, plead your case, and request they call you immediately if spotted. Reinforce that it’s best not to chase the dog as it will scare him or her away, just to call you if spotted. Leave your number and a photo of the dog with everyone you speak to. Be aware of your local posting laws but some good places to post in addition to the neighborhood he/she was lost in are: dog parks, community bulletin boards, coffee shops, grocery stores, phone poles, light poles, community centers, pet friendly stores and restaurants, and so forth. Somethings that smell like you! Blankets, shirts, whatever will help his nose lead back to! 2 maps of the area: one to record sightings (note date, time, exact location) and one to note your search efforts (where flyers were placed, areas covered and when they were last checked). From your home, take something with your scent on it and start rubbing on trees between your home and the area he was last spotted. In many cases your dogs nose will lead them home! Lost Dog Tips: get online! There are great groups online and available through social media that can help your plight go viral. In Illinois, http://www.lostdogsillinois.org/has a Facebook page that can be found here https://www.facebook.com/LostDogsIllinois and it is devoted to lost (and found) dogs in Illinois. Sometimes your dog has been found by someone and they just don’t know how to get in touch with you – they may have posted your pooch as ‘found’ online. Your state most likely has a similar not-for-profit group that is online and can be of assistance. If you are unclear where to go, Lost Dogs Illinois has a list of groups in other areas if you are outside of IL. Check out their Facebook page for details. In additional to specific groups, CraigsList is another place you can place a lost dog posting. Be sure to refresh your posting everyday if he/she is still lost so it appears at the top of the page. They should grab some yummy people food and start making noises so the dog notices you have something yummy. A smelly piece of cooked chicken or a hot dog. Put it in something that makes noise like a potato chip bag. Make lip smacking noises and have them use words like “ohhh, nummy, nummy, yum yum yum…” and move the food around in the bag so they hear the crinkle, smell the chicken, and are aware you have something delicious! Since you are not making eye contact with the dog you do not come across as a threat and they will become interested in what you are doing and what the yummy smell is! Hopefully he/she will start migrating towards the person that spotted him! If you have a skiddish dog, you may have to use the tactics above yourself to lure in your dog. This can very often be the case for new pets. 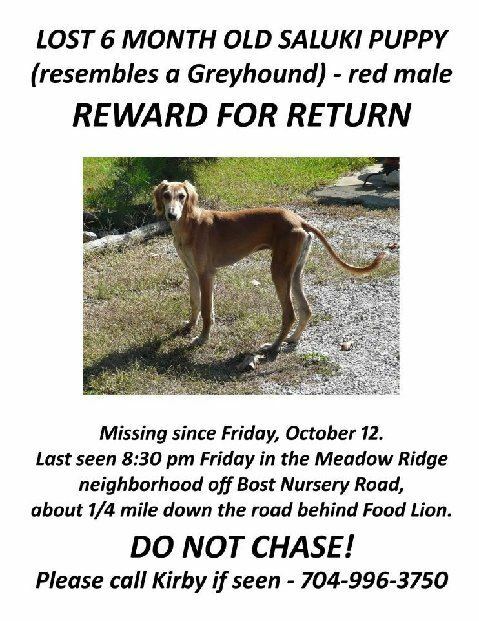 Start putting posters in the areas close to the sightings if the area has migrated from where he/she was originally lost. Continue the door to door campaign in that neighborhood. Lost Dog Tips: Dog trap! If you have multiple sightings in a neighborhood but your dog is elusive, you can set a dog trap. They make them for dogs of all sizes and it is harmless. Consult your local pet store or ASPCA on where you can find one. Place it in the neighborhood near the sighting, place something with your scent in it and wait. Hopefully your pooches nose will lead him in it! Especially if more than a day has passed, call your shelters and rescue groups in the area that you lost your pet as well as the areas of the sightings asking if anyone brought in or called in a dog with your description. Frequently check websites and social media lost/found dog groups to see if anyone has picked up your pooch. Here is a list of places to fax a photo of your pet along with your contact information your dogs microchip company, police department, vet clinics, animal control, animal service businesses, highway / public works departments, rescues. Lost Dog Tips: If several days have passed, don’t lose hope! Take time and go into the shelters armed with a photo and search for your dog among the available dogs. Make sure the signs you put up are still there and knock on more doors / stop and talk to more people in the area your pooch was last spotted. Be sure to check sites like Petfinder and Petango to see if your dog was surrendered to a shelter or rescue. 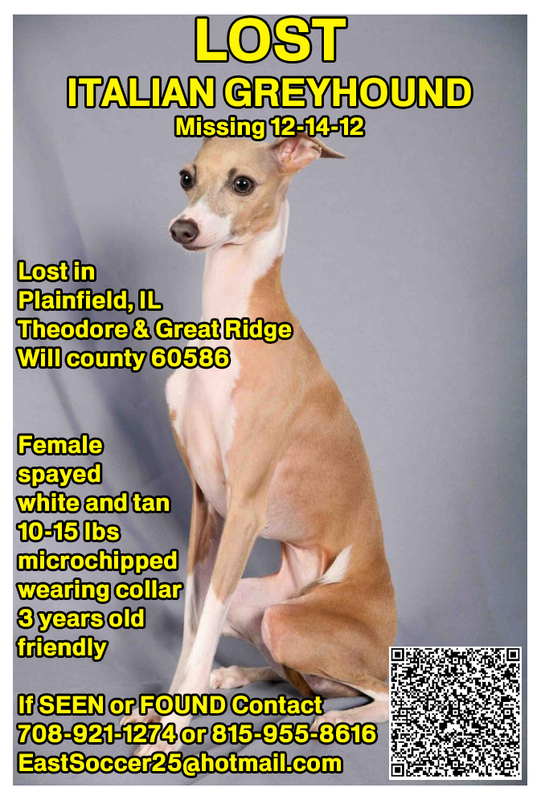 This entry was posted in ALL, Tips and tagged illinois italian greyhound, italian greyhound, lost dog, Lost Dog Tip, lost italian greyhound, missing dog, missing dog tips. Bookmark the permalink.